This is the twin Daytona Speedmaster brush kit on the market today it contains the brushes you need to keep your wheels & engine bay in tip top condition. The Daytona Speedmaster brush is almost identical to the EZ Detail Brush but offers a reinforced shaft for more frequent use. The Daytona Speedmaster brush has soft Nylex bristles and a nylon coated bendable shaft This means that the brush has utmost flexibility, is chemical resistant and safe to use on aluminium , chrome or lacquered wheels. 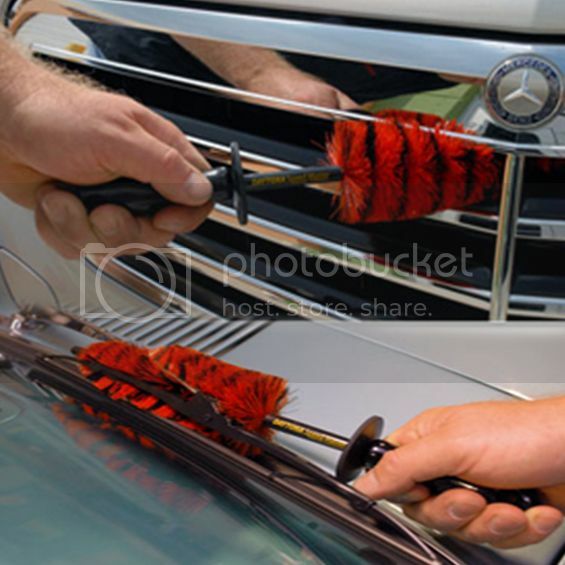 The design allows this brush get to the most awkward of areas and will very effectively clean the wheel without causing any damage. The bristles can effectively flatten into the tightest area and the memory design allows the brush to return to its original shape after use.